There have been a number of developer and public betas release for OS X: macOS Sierra. If you’ve used any of these betas, I’m pretty sure that you are aware of the innovative features of this OS. Using the new MacOS Sierra public beta gave me an insight on what the official OS would be and I can say that I am really happy and excited for the final product. 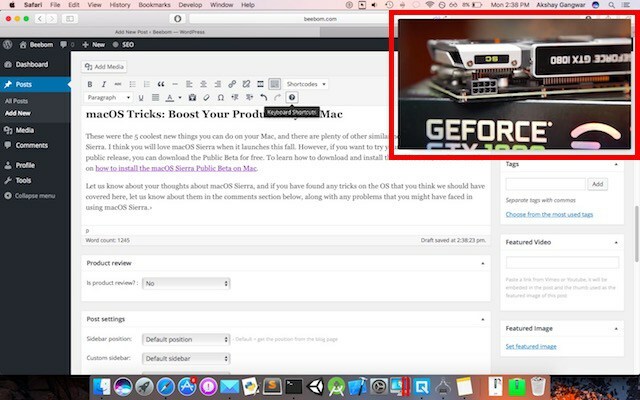 So before the final launch, let me give you five tricks that might help you maximize macOS Sierra’s features. The list below includes cool discoveries from the beta version and I’m looking forward to the final launch as these changes are very helpful and fun to use. Most of us have heard of the feature “picture in picture”. To give you a quick background of this feature, while streaming or playing a video you can choose to put in in picture in picture mode and drag it anywhere on your screen. For multi-task workers like me, this really makes whatever I work on enjoyable (music, funny videos) or efficient (instructional videos). Open up your Safari browser and go to YouTube’s website and choose a video you would like to play. Right click or two finger tap on the video, the menu would then be shown on the screen. Another right click or two finger tap and another menu will show up with an option for picture in picture mode. Click on the “picture in picture” mode option. 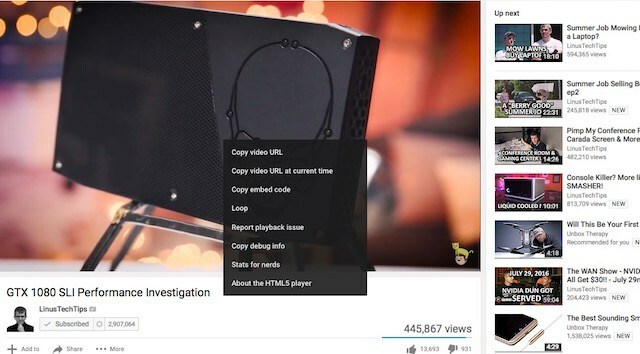 You can now drag the video to any corner of your screen and simultaneously work on something else while watching. 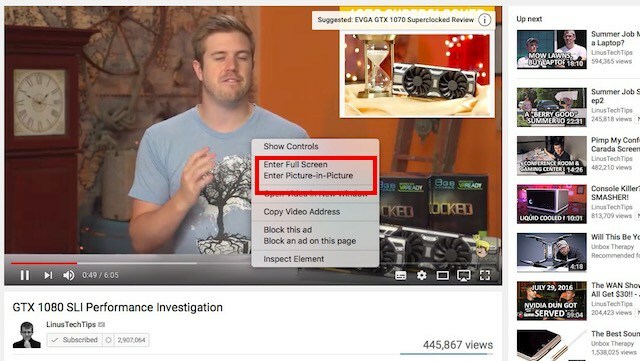 Although some people prefer their picture in picture mode videos at the corner of their screens some of us might want it positioned somewhere else. In the beta version if you tried to position the video somewhere else aside from the corners it will automatically be dragged back to a corner when you let go of the mouse. 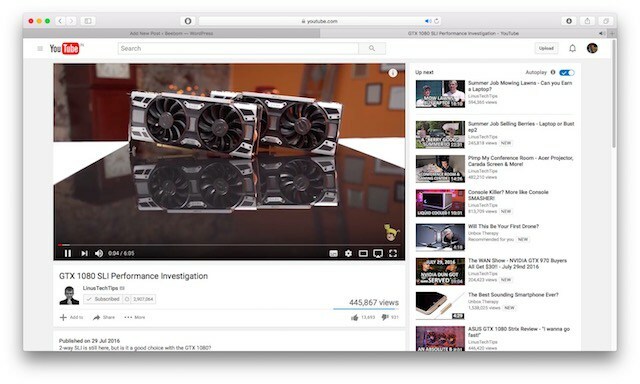 Visit YouTube’s website through Safari and search for a video you would like to play. Click on the “picture in picture” mode option in the menu. 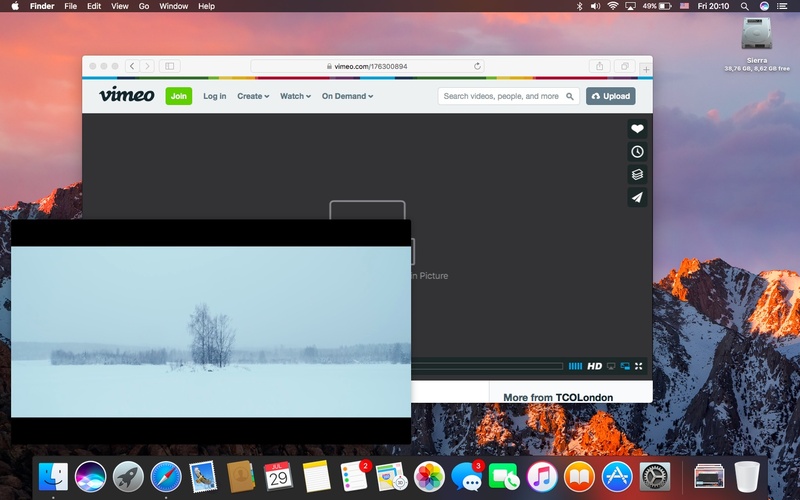 You can now drag the video to any corner of your screen. One of the most awaited and a requested feature on the new MacOS Sierra is Siri. While we are familiar with how Siri works for the iPhone, we are still wondering what it can do in the new MacOS Sierra. Siri was designed to make Apple users’ lives a whole lot easier. I’ve listed some of Siri’s features that I believe would be a lot of help for Mac users. 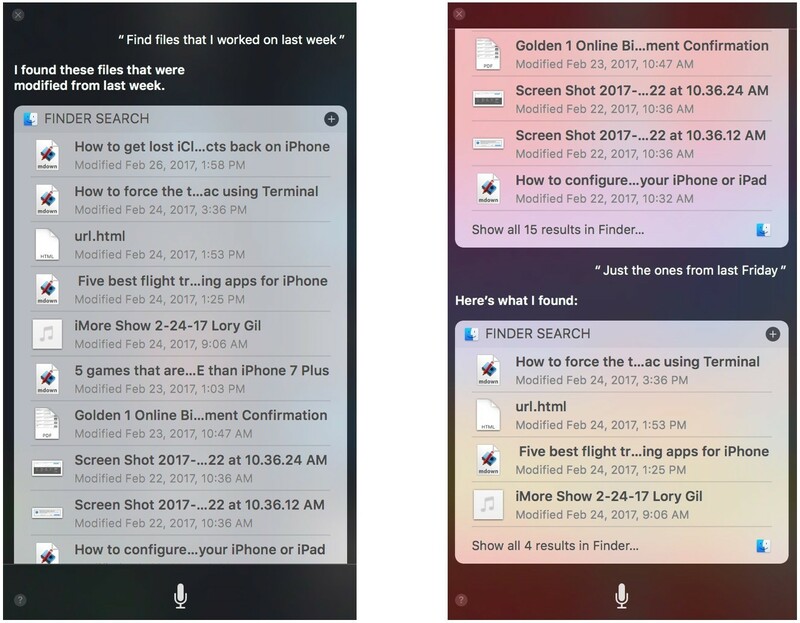 If you know the name of the file or folder you are looking for then all you have to do is simply ask Siri to locate it for you. You can command Siri generally like “Siri, find my files” or you can be more specific and ask say something like “Siri, find my files created this week” then add follow up commands to get to a more specific location or folder or narrow just to simply narrow down the search. Same as finding folders and files, you can ask Siri to find specific photos or just narrow down the search. 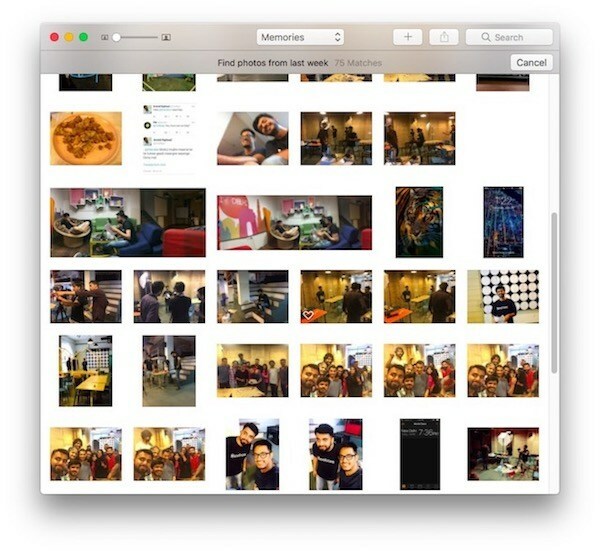 If you have thousands of photos save in you Mac, you can ask Siri to look for photos taken at a specific date or period of time. Instead of running an image search, Siri can do that for you. Siri also displays the results neatly and you can easily drag the photos to whatever you are working on like an email perhaps through the Mail app or just to your personal Notes. This feature is very useful for sports enthusiasts or if you simply are a fan of a certain team. You can ask Siri to give results for major sports team in main stream tournaments. 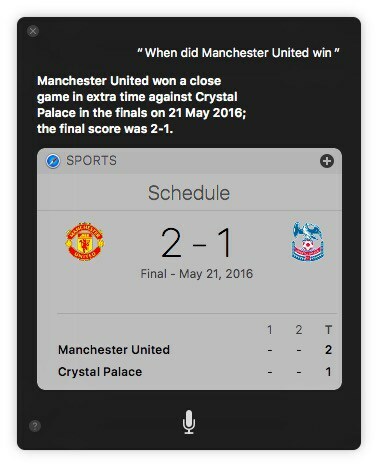 Let’s say you wanted to know when Manchester United will play their next game, Siri will then give you the schedule and you can add this information as a widget and you’ll be notified of any changes. 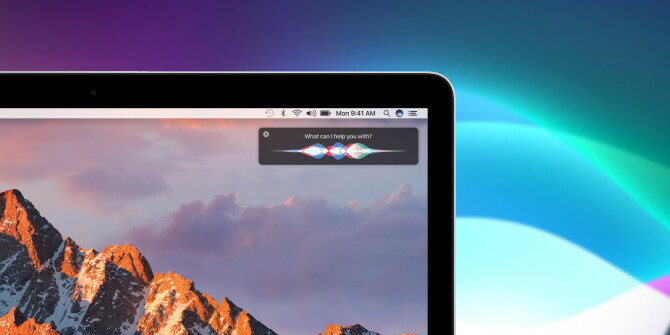 Note: There are two ways to launch Siri on your Mac. If you prefer using the keyboard like me then you can long press Command + Space (it would be just like the spotlight shortcut but just a tad longer). You can also click on the menu bar icon next to the notification center icon on your screen to launch Siri. You might be wondering what is so special about this clipboard, well if you have several Apple devices then you need this. At first I did not realize how important this feature was, but now I can’t imagine myself not using it. 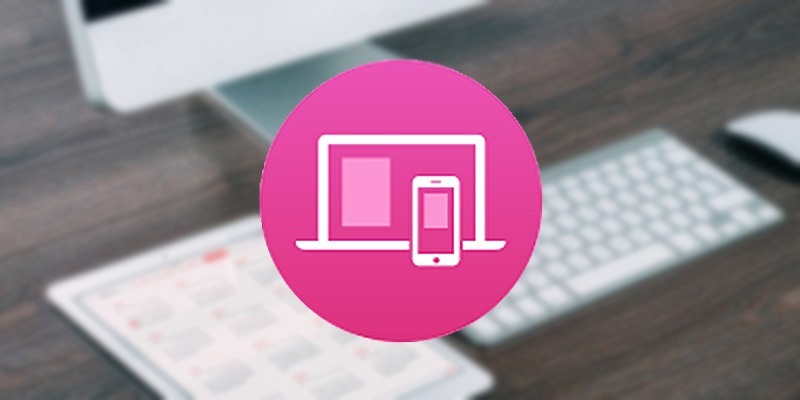 Basically, the Universal Clipboard allows you to simply copy and paste texts or links from one apple device to another. It’s not just text that you can copy, this applies to files like photos and videos, technically anything than can be copied can also be pasted from one Apple device to another. Keep in mind that for you to copy and paste across your Apple devices, they should be all linked to the same iCloud account. There’s still a small possibility of lag since this feature uses the iCloud to copy from one Apple device to another. One of the promised features in the MacOS Sierra launch is its storage optimization. 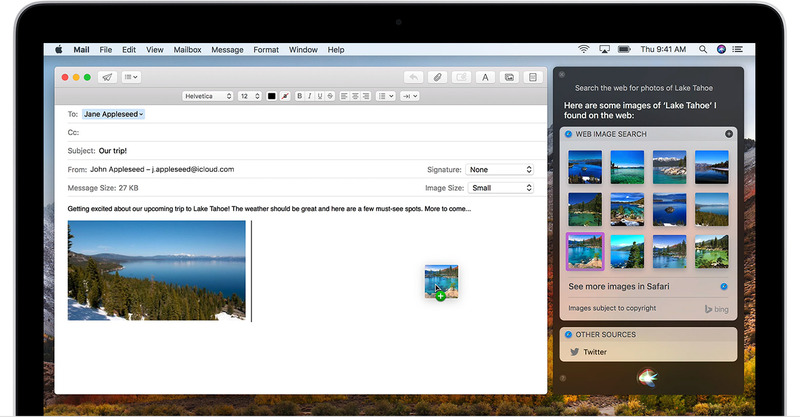 One way of optimizing your storage is by using iCloud to store your desktop and documents folders. This is very helpful since the documents or files stores in iCloud can be accessed through all your Apple devices linked to you iCloud account. So if it can’t be covered by the Universal Clipboard then this feature will. I usually email files or documents to myself if I wanted to access it in a different device, or use an external storage device and physically transfer it from one device to another. Both ways has its cons, first, emails usually limit the size of the file you can attach, next, using an external storage device takes time and leaves your devices prone to viruses. Just imagine how happy I am to discover this new feature and I’m pretty sure you will be too. Another good thing about MacOS Sierra’s storage optimization is that it helps you free up storage space in your Mac. If your Mac is running low on storage space, it will now automatically remove duplicate files or files that are not used often from your local storage space and then send them to the cloud. Just imagine having your own Mac housekeeper keeping things tidy and clean for you. Always remember that if you delete a file from iCloud it will also be removed from all devices unless you have a backup. 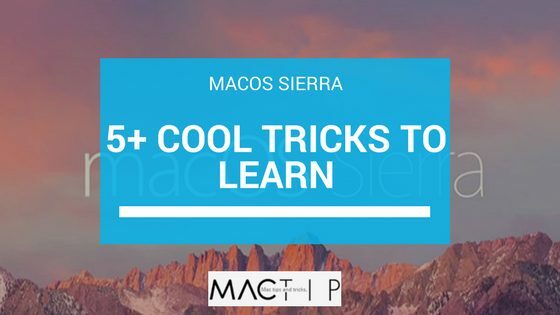 These are just 5 from a bunch of new features you’ll get when you upgrade to the new MacOS Sierra, there are tons of new cool features that were not mentioned above but I’m sure that these 5 tricks will be useful to almost anyone using a Mac. You can try out these features before the official launch by downloading the latest public beta version. If you want to learn how to download and install the new public beta, simply let me know and I’ll be happy to help or write a separate article for it. If you have tried these tricks and would like to share more about them I highly recommend that you leave us a comment and let us know what you have discovered or what your thoughts are about the five features mention above. All in all, MacOS Sierra is definitely keeping its promise as a more efficient and intelligent operating system.